It’s a fairly standard week when a pet owner needs to make the umpteenth trip to the pet food store to buy more cat food. But the unexpected can happen to the best of us. 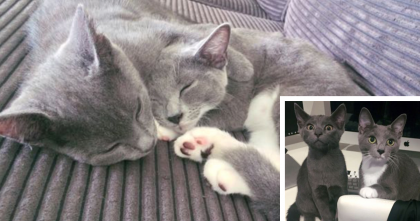 This Reddit user went to the pet store to buy cat food, but came out with a cat! Pumpkin the cat literally picked his new owner. When the man had a look at the kitties in the adoption center, Pumpkin squeaked at him. 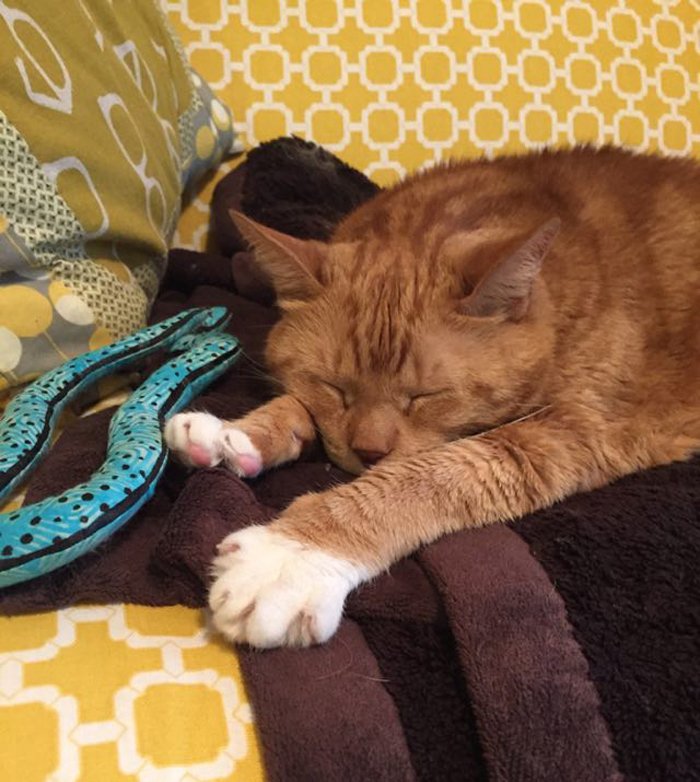 His new owner has renamed the cat “Pumpkin Cumberbatch Pierce, the Duke of Hebron”. They live on a street called Hebron, in the UK. We’ll take their word for it that this makes sense there. 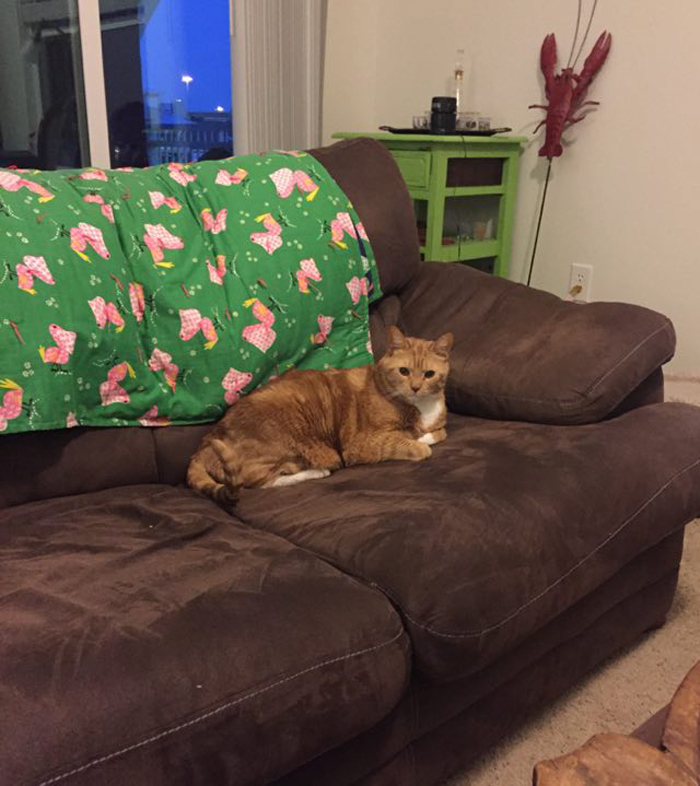 Pumpkin’s owner says he’s the sweetest cat ever. There’s also something extra special about this kitty. Pumpkin weighs a whopping 25 lbs! That’s a lot of kitty. 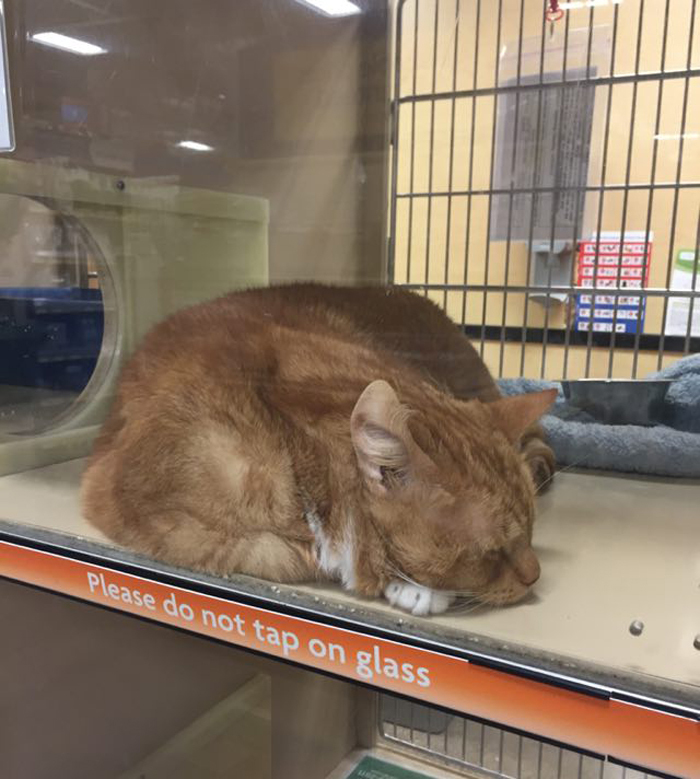 He was just waiting for his forever home at the SPCA adoption center at Petsmart. His previous owners were cruel enough to dump him after six years because he was “too needy”. 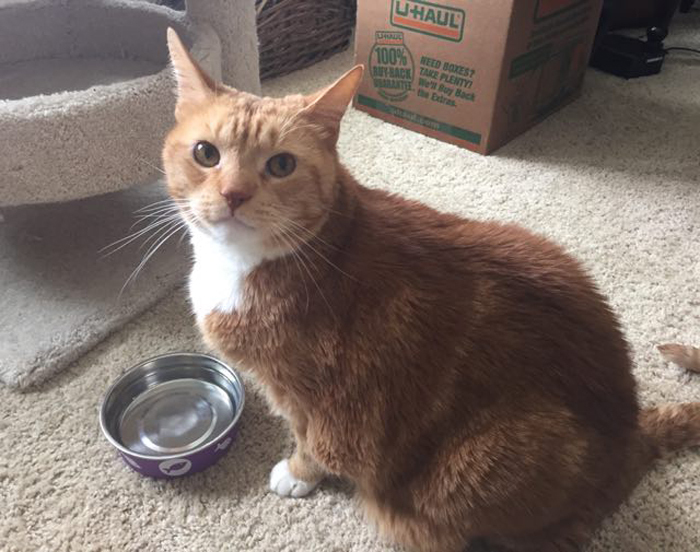 Pumpkin’s previous owners are missing out on a fantastic and affectionate kitty, but his new owner says “whatever”. They would never have met otherwise! Reddit user GregoriotheLion had to run and get his wife from the car to see this cat. It was love at first sight! 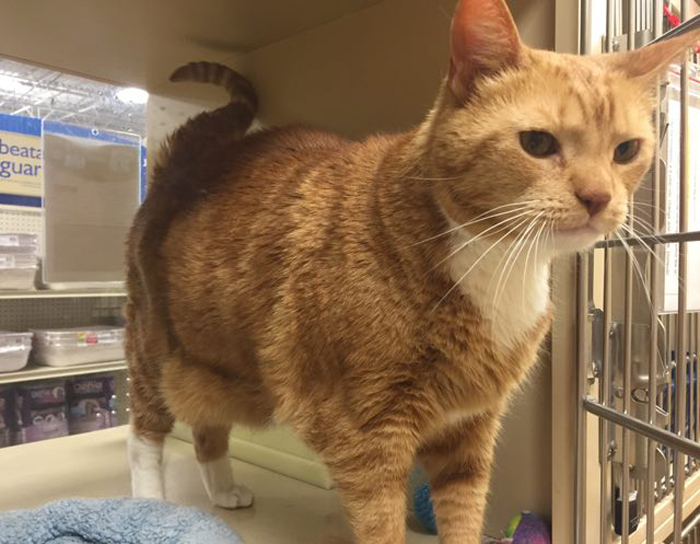 The adoption center recommended that they get Pumpkin’s weight down, so he can live a long happy life. This Reddit user has had that task before, so we’re confident that Pumpkin is in good hands. 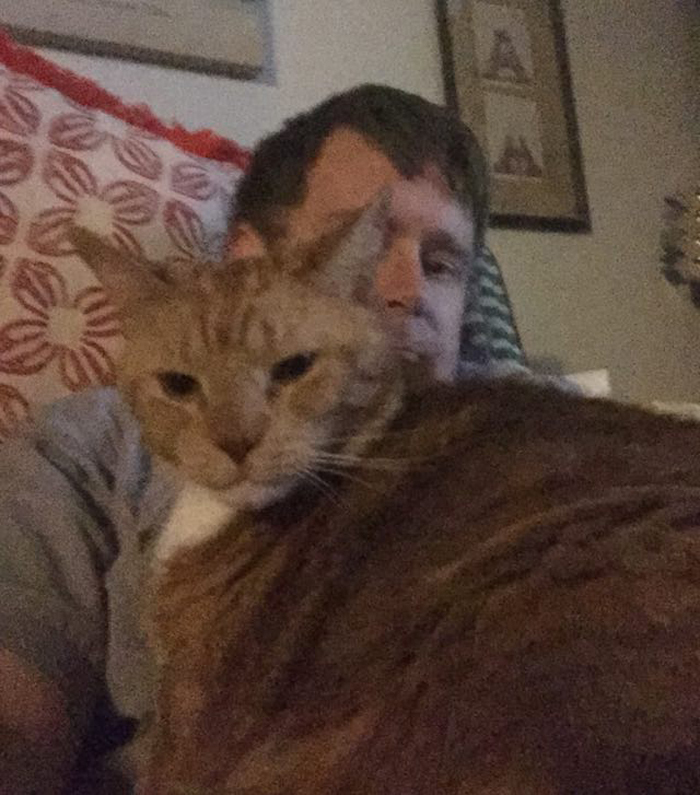 Pumpkin’s owner acknowledges that there aren’t too many names you could call a 25 lb orange cat! They’re taking it slowly in introducing Pumpkin to their other cat. He hangs out in their office and loves his cat tree. Bartleby the other cat loves to sniff everything in sight during their supervised visits. Pumpkin takes it in stride. He’s in his forever home now, and that’s all that matters. 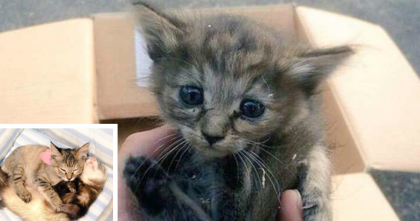 Woman Rescued Two Cats, But She Had No Idea What Would Happen Next… AMAZING. 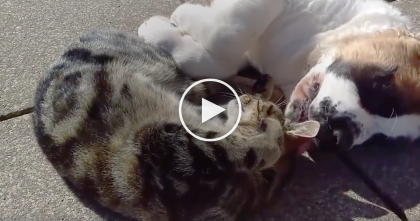 When This Cat Meets His Best Friend, It’s The Sweetest… Just Watch, This Is ADORABLE!! 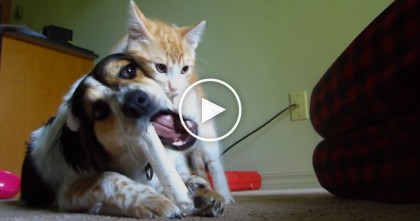 This Dog Tries To Enjoy His Bone, But Kitten Demands To Play.